Dr Belinda Bennet, a passionate leader, has over three decades of experience working with development agencies, civil society, community-based organisations and citizens’ groups. She is CEO of Change Alliance, a technical and advisory development consultancy that helps forge alliances, bridge the social and economic gap and make growth inclusive and sustainable by providing market-leading development services. Dr Bennet has played a strategic role in addressing issues of social exclusion. She chairs the consortium that delivers the Poorest Area Civil Society (PACS) Programme, the largest programme of the UK government’s Department for International Development (DFID), focusing on rights and entitlements. 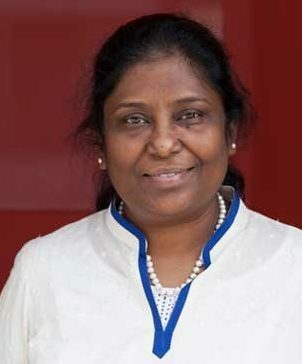 She founded the NGO Sakthi, to work with Dalits and children in slums of Madurai, Tamil Nadu. Belinda has worked as an organisational development and change management consultant with civil society, corporate and international organisations. She has served on the boards of Micah Challenge International UK and World YWCA, and was previously the National President of YWCA, India. 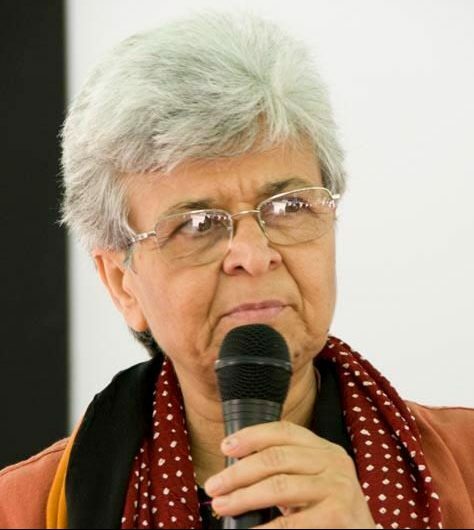 Kamla Bhasin is an Indian developmental feminist activist, poet, author and social scientist. Bhasin's work, that spans across 35 years, focuses on gender, education, human development and the media.She is best known for her NGO, Sangat, which is a South Asian network of feminists, and her poem "Kyunki main ladki hoon, mujhe padhna hai" .She is also the South Asia coordinator of One Billion Rising.